WASHINGTON — Conditions are ripe for a colorful fall foliage season, but a Virginia Tech tree expert notes some bright sunny days are needed to coax out the best displays that include red. If October turns out to be extremely dry, there could be an early end to the season with leaves dropping off during peak color time about the third week of the month. But, conditions have been cooperating. There’s been plenty of rain. Trees are not stressed. They’re in a healthy position going into the most critical time of the fall season. “I think it’s going to be good,” Seiler said. If you’re planning a fall foliage trip, he recommends checking your calendar for a visit from about the end of the third week of October through the end of the month. 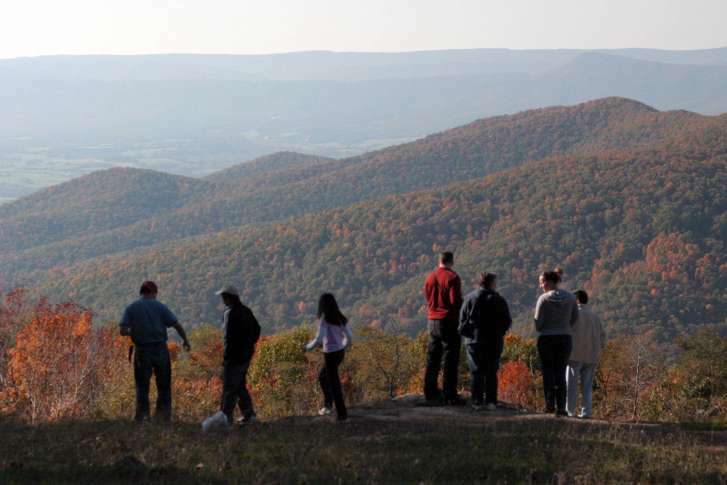 Within the next week or so, the National Park Service will begin to give “Fall Color Reports” online for Shenandoah National Park that includes Skyline Drive. You also can hear the reports by calling 540-999-3500 and pressing 6. The Maryland Department of Natural Resources also does reports online and displays the progress of fall colors on a state map. The Maryland report for the first weekend of fall, Sept. 29-30, notes colors are coming. “Reports out of Western Maryland confirm the first signs of the season, as the region’s early reds, yellows and oranges are starting to pop, particularly visible in Garrett County’s higher elevations above 2,500 feet,” according to the report.